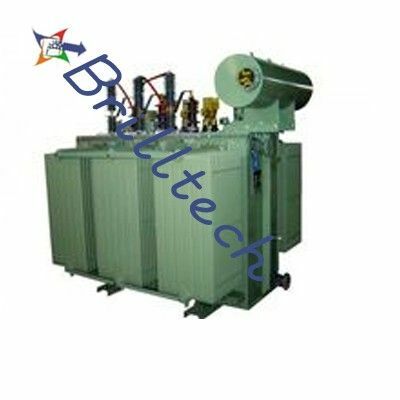 Brilltech presents Oil Filled Transformer that is in a perfect world intended to be agent even in the unpleasant working conditions like unforgiving climate, amazing temperature, contamination, and so forth. The variety of the Oil Filled Transformer is immense as it includes Distribution Transformer, Power Transformer, Isolation Transformer, Amorphous Transformer, Converter Transformer, and Furnace Transformer. In every one of these transformers, oil impregnation methodology is taken after for oil filling applications and is likewise known for components like high sturdiness, strong development, low power misfortune, low commotion, longer utilitarian life, and low support cost. The potential purchasers are likewise facilitated with the accessibility of the Oil Filled Power Transformers in different voltage reaches to meet the particular prerequisites of the application territories. In addition, we additionally have practical experience in giving the definite desires of the purchasers at business sector driving costs. India: Mizoram, Meghalaya, Jharkhand, Tamil Nadu, Maharashtra, Manipur, Orissa, Nagaland, Chhattisgarh, Assam, Gujarat, Kerala, Delhi, Tripura, Goa, Madhya Pradesh, Andhra Pradesh, Haryana, West Bengal, Uttar Pradesh, Sikkim, Rajasthan, Uttarakhand, Arunachal Pradesh, Bihar, Punjab, Karnataka, Jammu and Kashmir, and so on. Africa: Nigeria, Algeria, Somalia, Uganda, Sudan, Sao Tome and Principe, Mauritania, Burkina Faso, Niger, Guinea-Bissau, Swaziland, Tanzania, Benin, Zimbabwe, Libya, Malawi, The Gambia, Mozambique, Burundi, Namibia, Djibouti, Kenya, Ivory Coast (Cote d'Ivoire), Tunisia, Eritrea, Rwanda, Liberia, Gabon, Equatorial Guinea, Ghana, South Africa, Sierra Leone, Botswana, Ethiopia, Mauritius, Lesotho, Angola, Cote d'Ivoire, Guinea, Morocco, Senegal, Comoros, Cameroon, Zambia, Mali, Madagascar, Central African Republic, Chad, Seychelles, Togo, Cape Verde, and so on. Center East: United Arab Emirates, Cyprus, Iran, Qatar, Iraq, Lebanon, Bahrain, Saudi Arabia, Yemen, Turkey, Kuwait, Jordan, Syria, Israel, Egypt, Oman, and so on.